I usually get annoyed when they mess with the source material when remaking classics. “They” being whoever has has the good sense to fall in love with a story I’ve adored and has decided to make it into a movie/ series/ whatever. This, though, I have loved. Every joyous tear-filled second of it. I’ve loved that the characters all feel more rounded. I love that it’s dealt with societal issues that were glossed over in both Montgomery’s books and the original series. I’ve loved the complexity they’ve brought to the story in fleshing out Anne’s trauma, and in the lives of the people in Avonlea. It felt like coming home to a part of my childhood that I valued dearly, and finding that it was, indeed, just as beautiful as I remembered, but now I’m seeing it with adult eyes. I think I was about 10 when I first read the Anne of Green Gables books, and I remember working my way through them on my weekly visits to Wallerawang Public Library back in the 80’s. It was, in many ways, my Green Gables – a thoroughly unromantic building, sadly, but home to such wondrous stories and dreams, and I remember falling in love with Matthew and Marilla and Miss Stacey as I borrowed the books from that poky little library, wishing against all hope that I could trade Anne my dark hair for her red. I credit my enduring love affair with the Avonlea chronicles with my semi-regular attempts to dye my hair red – attempts that are frequently thwarted by the stubbornness of my locks to absorb colour as much as they are by my own innate laziness when it comes to personal grooming. Fast forward 3 decades. Ok, 3 and a half. Sigh. 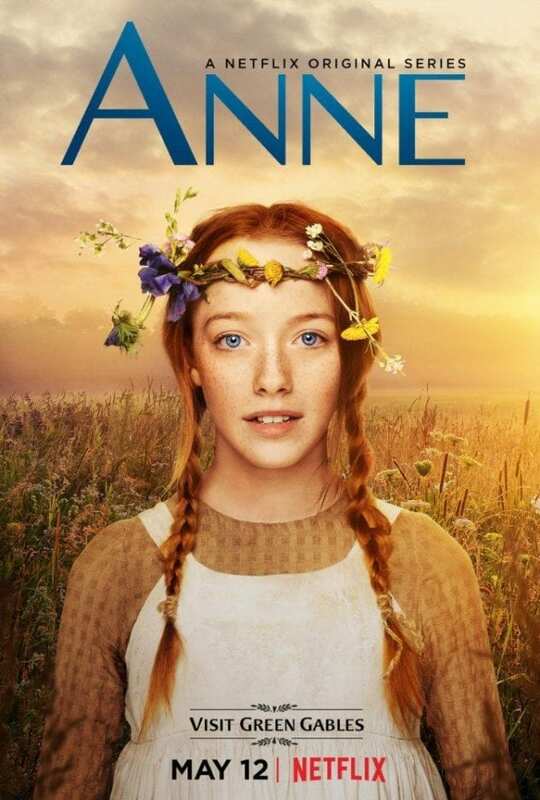 I’ve been hearing about Anne With an E for a while, and whilst I wasn’t really resistant, I certainly hadn’t rushed to watch it either. I don’t know why I started last week, but when I did, I couldn’t stop. I’ve watched the first 2 seasons, and I’m so overjoyed to have been back to Avonlea. I don’t know that I would have loved it as much when I was younger – I think childhood Tamara needed the sweetness, the purity, the joy of the original CBC miniseries back when she first ventured to Prince Edward Island. But adult Tamara appreciated this wonderful new version of Mongtomery’s classic tale. I loved the moments, the scenes early on that were almost word for word the same as the book and the earlier TV version – they helped me ease into the world of Avonlea that I knew. But I also appreciated that they took the story of Anne and her world in directions that were surprising to those of us so familiar with the source material. There was a depth and complexity to it that made me fall more in love with it, and the new characters and storylines gave me something to look forward to, rather than just comparing it to the original as happens so often with a remake. Were there things that annoyed me? Sure. The resolution to Season 2 felt unusually light (pun intended) and a little twee to me, as much as I wanted it to happen. Whilst I appreciate how much more rounded and complex the characters are, some of their “lightbulb moments” (pin NOT intended) feel a little forced to me. Prissy and Billy Andrews are prime examples of this. But it’s beautiful – both in its storytelling, and its cinematography. Simply stunning. And it has firmly stoked that little ember that has been flickering away since little Tamara borrowed the first Anne of Green Gables book from the library, all those years ago, to one day visit Canada. So, that’s been my journey with Anne over the past week. I’ve fallen in love again. I’ll watch this season again. You really are ahead by a century, Anne with an E.